The Honda Civic Tour 2014 - Otter Productions Inc. | Otter Productions Inc. The Honda Civic Tour 2014 - Otter Productions Inc. The Honda Civic Tour 2014, this Wednesday August 13th! Gates at 5PM. All Ages! Otter Productions, Inc. and Collective Effort Events present the 2014 Honda Civic Tour, this year featuring Grouplove, Portugal the Man and Tokyo Police Club! #‎FBF‬ to GROUPLOVE rockin out on the main stage at ‪#‎Coachella‬ earlier this year! Can’t wait to have Grouplove in Avila Beach with Portugal. 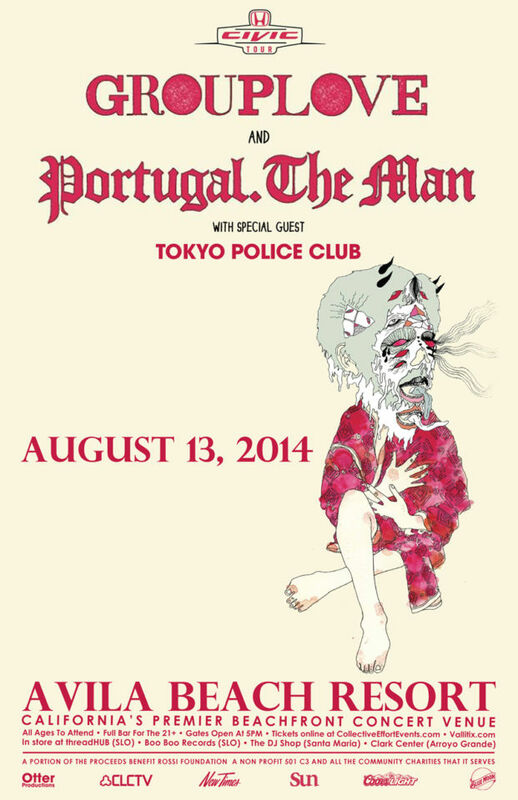 The Man and Tokyo Police Club THIS WEEK on Wednesday, August 13! All ages welcome! Full bar for the 21+! Bring your friends, family, and good vibes for a magical summer’s night beach party! 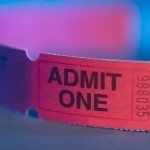 Do you have your ticket yet! ?